CARTER, Sir FREDERIC BOWKER TERRINGTON, lawyer, politician, and judge; b. 12 Feb. 1819 in St John’s, third son of Peter Weston Carter and Sydney Livingstone; m. 1846 Eliza Walters Bayly, and they had 11 children; d. 1 March 1900 in St John’s. Frederic Bowker Terrington Carter came from a Devon family long associated with the Newfoundland trade. By the latter part of the 18th century they were established at both Ferryland and St John’s. Family members were merchants and also part of Newfoundland’s tiny office-holding élite. Frederic’s grandfather, William Carter, was judge of the vice-admiralty court. His father was appointed a St John’s magistrate in 1815 and later became, at various times, registrar of the vice-admiralty court, deputy naval officer, clerk of the probate and central district courts, and in 1842 the senior town magistrate. Frederic was educated at a private school in St John’s. 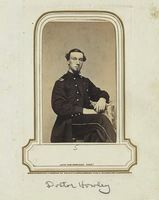 He then trained for the law with Bryan Robinson* and spent 1840–41 in England, where he probably continued his studies. In 1842 he became a member of the Newfoundland bar, which two years later had only seven members. The author of Carter’s obituary in the St John’s Evening Telegram (probably judge and historian Daniel Woodley Prowse*) stated that his early years in practice were difficult. Although that assessment may well have been true, this period did not last long. Carter was not only a well-connected member of St John’s society, but also able and personable. 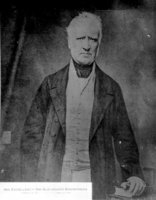 An early mark of favour was his election in 1848 as solicitor to the House of Assembly, a post he held until defeated in 1852 by John Little, whose brother Philip Francis Little led the Liberal majority. For the most part, Carter’s energies in the forties and early fifties were devoted to his law practice, though he was active for a few years in the Natives’ Society. His political views seem to have been those of a conventional Anglican and Conservative, essentially similar to opinions voiced by his uncle Robert Carter*, his mentor Robinson, and his close friend Hugh William Hoyles*. An opponent of responsible government, he nevertheless came to terms with it and ran in the election that inaugurated it in 1855. He was elected to the assembly, unopposed, for Trinity Bay. Carter sat with the Conservative opposition led by Hoyles, with whom he worked closely, taking independent responsibility for a bill to prevent office holders from sitting in the assembly. It became popularly known as “Carter’s purge” and was voted down in 1856, 1858, and 1859 by a Liberal majority that made heavy use of patronage to cement party unity. Carter’s position as Hoyles’s chief lieutenant was signalled in 1857, when he was appointed one of two Conservative representatives on delegations sent to British North America and England to protest a draft agreement concluded between Britain and France regarding fishing rights on Newfoundland’s French Shore. With John Kent* he travelled that spring to Halifax, Saint John, N.B., and Quebec. They were successful in obtaining support for Newfoundland’s argument that the agreement was damaging to the colony, and dangerous in principle, since it had been concluded without colonial consent. With the approach of the 1859 election, the Conservatives tried to detach Methodist support from the Liberals by stressing the Catholic nature of the government and by advocating the need for Protestant unity. As a part of this strategy – which failed – Hoyles contested the key district of Burin against Ambrose Shea*, a leading and influential Catholic Liberal. Hoyles lost, and until he could find a safe seat the Conservative opposition was led by Carter, who had been returned once again for Trinity. It was a period of considerable political tension. The Liberals, now led by Kent, were beginning to encounter serious problems. 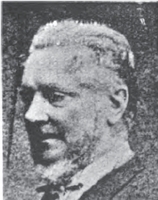 Against a background of deepening economic depression, they became internally divided and Kent’s relationship with the party’s powerful patron, Bishop John Thomas Mullock*, deteriorated to the point where the latter severed his connection with the government. Kent also faced the hostility of the governor, Sir Alexander Bannerman*, who was friendly with Hoyles and Carter and favoured the installation of a Conservative administration. These tensions culminated in a major political crisis during the first half of 1861. Bannerman dismissed the Kent government. The Conservatives won a narrow majority in the ensuing election, thanks to Methodist support and Liberal demoralization, and Hoyles was confirmed as premier. Carter became speaker and had the satisfaction of seeing “Carter’s purge” enacted in 1862. The rights of Terra Nova! The publication of the Quebec resolutions in Newfoundland in December precipitated a vigorous debate, and it rapidly became clear Carter’s prediction that “the great majority” of colonists would support union was mistaken. Opposition emerged immediately from among the St John’s merchants, who feared increased taxation and the disruption of traditional patterns of trade, and from the Roman Catholic population, which feared that all the evils that allegedly plagued Ireland as a result of the union with England would equally affect Newfoundland under union with the mainland colonies. In the face of this opposition no attempt was made to force a vote on the Quebec resolutions when the legislature met early in 1865. 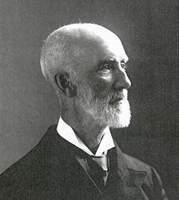 Carter, Hoyles, and Shea all spoke forcefully in favour of confederation, but the government conceded that a decision on the matter would have to depend on the results of a general election. Whatever the short-term political gains of the so-called coalition of 1865, it set an important precedent. A basic ground rule of Newfoundland politics was established: governments should represent all religious denominations, which should also receive a fair proportion of seats in the legislature and positions in the civil service. The institution of these practices during the 1860s opened the way for party divisions based on factors other than religious affiliation: by entrenching such divisions in the constitution, as it were, moderate politicians hoped to remove them as a central feature of political life. Although the practice was in time severely criticized, it was, in the context of the mid 19th century, a sensible and realistic move. Carter did not make confederation an issue in the November 1865 election. His party was split on the question, and anti-confederate sentiment was widespread. The confederates had apparently decided to wait it out, to see what occurred on the mainland and hope that in Newfoundland public opinion would change. In the absence of a well-organized opposition party, the government was returned with a majority of 14. Though confederation remained central to political debate and the legislature devoted a considerable amount of time to discussing its merits, the government had other preoccupations. First among them was the question of poor relief. The decade beginning in the late 1850s was a period of severe depression caused by poor seal and cod fisheries and complications in the Spanish and Brazilian codfish markets. Poverty was endemic and relief expenditures were absorbing, on average, a quarter of the revenue annually. Carter’s administration saw through the house legislation to encourage agriculture and it made a determined attack on relief to the able-bodied, a bold move which, though applauded by the St John’s bourgeoisie, was widely unpopular. With confederation accomplished on the mainland, it was clear that Newfoundland would have to make its own decision. There was considerable apprehension that Carter (who possessed, some thought, “an overflexible bent of mind and an undue plasticity of disposition”) would be manipulated by the ambitious and mistrusted Shea into reneging on Hoyles’s promise of an election on the issue. It was also rumoured that Carter might replace the retiring P. F. Little on the Supreme Court. In the event, Carter resisted the temptation of the judgeship and confirmed his commitment to an election, adding, however, that better terms than those agreed to at Quebec would be necessary. Early in 1869 he steered draft terms of union through the legislature and led a delegation to Ottawa to negotiate the final version. All that remained was endorsement by the electorate. Though under pressure to do so, Carter refused to go to the polls in the spring, when confederate chances were relatively favourable. (The anti-confederates were as yet disorganized and many merchants, now acquiescent, could have exerted influence on their dealers.) He insisted that the election be held as usual, at the end of the fishing season. This decision allowed time for the anti-confederates to regroup under the leadership of Charles James Fox Bennett* and, because of better fisheries and prices, time for public morale to change from a pessimism that favoured confederation to a revived confidence in the colony’s independent future. That Carter made this decision shows that he was not a confederate in the mould of Charles Tupper* (or Ambrose Shea). He believed in confederation, but equally that the decision had ultimately to be that of the people. Confederation should be freely chosen, not foisted on a colony by the manipulations of its politicians. Confederation was an issue that cut across party lines. Politicians and voters aligned themselves behind Carter or Bennett according to their views on union, virtually regardless of previous affiliation. Carter retained the support of most Conservative politicians, some merchants, and a small minority of Catholics. It was not enough. Backed by the preponderance of merchants and Catholics, Bennett won 21 seats to Carter’s 9. 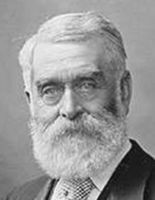 Contesting Burin, as he had in 1865, Carter won his seat with a tiny majority of five legally dubious votes. His government resigned on 11 Feb. 1870. In opposition, Carter and his party soon began to distance themselves from confederation. The defeat had been so massive that it was clearly suicidal to continue to argue in its favour. A major turning-point in Newfoundland history, the 1869 election had decided, in effect, that for the foreseeable future the colony would seek to maintain its independence. Carter’s period in opposition was troubled. Having fought off an attempt by the Bennett government to unseat him for irregularities in the Burin election, he began to face serious difficulties with his supporters. A group of younger men, the most prominent of whom were Alexander James Whiteford McNeily and William Vallance Whiteway*, was prepared to use whatever weapons came to hand to attack Bennett. Playing on the government’s reliance on Catholic support, they began to unleash Fenian and sectarian scares and to cultivate links with the Orange order in an attempt to bring Protestant votes back to their party. This strategy was clearly obnoxious to Carter, who was careful to attack the government on other grounds. In 1871 he unwisely precipitated a bitter tussle within the party by agreeing to act as Bennett’s lawyer in a libel suit against an opposition newspaper, to which, it was thought, both McNeily and Whiteway contributed. It is significant that the opposition did not contest any by-elections that year. In the summer of 1873, while Carter was away in Canada, a so-called new party emerged to contest the election called for that fall. Eventually a rapprochement was effected between Carter, his personal supporters, and the “new party,” which preserved his leadership. But the campaign that followed cannot have been to his taste, given its sectarian nature. Bennett emerged from the election with a reduced majority, and such was the state of his party that the majority evaporated before the assembly met in 1874. Carter (now a member for Twillingate and Fogo) began his second term as premier on 30 January with a majority of one. 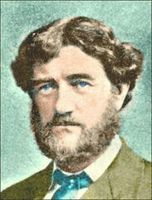 There is evidence to suggest that Carter sought to find allies from the Liberal party who could reduce his dependence on the “new party” and enable him to avoid an election in 1874. 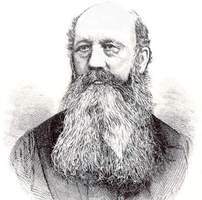 With his knowledge discussions took place between the governor, Sir Stephen John Hill, and Bishop Thomas Joseph Power, concerning an amalgamation, but these failed. In the election that fall Carter gained a majority of five. In effect, the party divisions of the early 1860s had reappeared. The Liberals were once again in opposition as a Catholic party. Carter’s Conservative party was overwhelmingly Protestant, its one Catholic member (Shea) sitting for a Protestant district. Carter’s hopes for genuinely non-denominational parties had been crushed, although such parties were to emerge in the 1880s as politicians realigned themselves over the question of railway building and the development of the interior. In domestic affairs Carter’s ministry of 1874–78 saw the end of an old dispute and the start of another. Settled was the question of subdividing the Protestant education grant, which had been under sporadic, and at times heated, discussion since at least 1850. In 1874 legislation was passed, reluctantly on Carter’s part, which allowed Methodists and Anglicans to have their own school systems. This policy conformed to the denominational compromise that Carter had helped institute in other areas in the 1860s and created the denominational school system that still persists in the province. The new initiative was to give serious attention to the possibility of building a railway across the island. The most active proponent of this scheme in the government was Whiteway. Carter himself recoiled from the scale and potential cost of the undertaking and was unconvinced of the economic advantages predicted by others. Alexander Murray*, the colony’s geological surveyor, angrily called Carter “not simply indifferent but obstructive” on the matter. 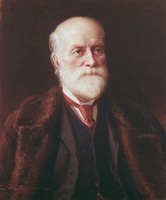 Nevertheless, in 1875 a loan was raised to finance a survey, which was carried out that year with the advice of Sandford Fleming*. The plans were taken to the Colonial Office, where interested parties would be able to consult them. However, the Colonial Office was hostile to the project, since a terminus was proposed for St George’s Bay on the French Shore, where the French had fishing rights. Neither the Colonial Office nor Carter wanted to irritate the French government; both were concerned to settle a number of outstanding issues about the relative rights of Newfoundlanders and French subjects under existing treaties. Since the 1860s Carter had been anxious to see the French Shore opened to economic development and to assert full colonial control over the entire area. In London to discuss the matter in 1875, he suggested the purchase of French rights by the British government. Although this proposal was rejected, the Colonial Office did concede that civil authority should be established on the shore. After long, tortuous negotiations, Carter managed to arrange for the appointment of magistrates and hence for tax collection and law enforcement. Other issues, such as land grants and political representation, had to be postponed. Carter held strong but not extreme views on the French Shore question, and he was viewed in London as essentially reasonable in approach. The same might be said of his attitude towards the growing American fishery in Newfoundland waters. He had always been dubious of the wisdom of reciprocal trade with the United States and had opposed Newfoundland’s adherence to the fisheries clauses of the Treaty of Washington of 1871. His government was determined that American fishermen should not abuse their rights under either that treaty or the Convention of 1818, and that the colony should claim generous compensation from the Halifax tribunal in 1877. The colony’s case was prepared by Whiteway, who based the claim for $2,880,000 largely on American access to Newfoundland supplies of bait fish. The tribunal eventually awarded Canada and Newfoundland $5,500,000, of which Newfoundland received $1,000,000, a decision made by Canadian and British officials with the colony’s consent. There was some disappointment in Newfoundland, principally because the tribunal had ruled that the bait trade had nothing to do with treaty privileges, but on the whole the award was regarded as a significant achievement. Certainly the government had been alerted to the value of bait supplies to foreign fishermen and began to assert its right to control such exports, a right that the imperial government was to concede reluctantly in 1886. Another concern was the amenability of foreign fishermen to local fisheries law, an issue that came into high relief following a scuffle between American and local fishermen in Fortune Bay early in 1878. 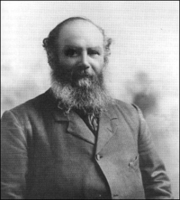 The resolution of that dispute was left to Whiteway, who succeeded as premier after the 1878 session. Carter became a judge of the Supreme Court and was made a kcmg. Two years later he became chief justice, a position he held until his retirement in 1898. By the end of his premiership the sectarian passions roused earlier in the decade had subsided, confederation was a dead issue, and government and opposition parties were in essential agreement on most issues, including railway building. Carter had successfully re-established the dominance of the Conservative party and helped chart the course that his successor was to follow into the 1880s. As chief justice, Carter served as administrator of the colony on a number of occasions in the absence of a governor. He was, as a result, involved in some delicate political situations, which he seems to have handled sensibly, for instance, the crisis that erupted after the Harbour Grace riot of December 1883 [see Robert John Kent] and the attempt to gain local acceptance for a new French Shore convention in 1886. Successive governors valued his advice and counsel. It is not surprising then that he had ambitions to become governor himself. As part of a sub rosa political scheme in 1885, Carter and Whiteway proposed to the Colonial Office that Carter become governor, replacing the ailing Sir John Hawley Glover*, and Whiteway chief justice. Carter’s name was turned down on the grounds of his previous political involvement. Inconsistently, the Colonial Office then selected Ambrose Shea. This nomination was withdrawn in the face of a barrage of complaints from the colony. Shea in a vituperative public speech heaped blame on Carter, who, it is clear, was hurt at being passed over and had orchestrated the protests. When Carter’s estate was valued after his death in 1900, it amounted to only $6,000. He had not used public office to enrich himself, and as a judge he probably earned less than he would have if he had remained in private practice. On the one hand these facts reflect a lack of energy and ambition, on the other an essential honesty. He was never the politician’s politician, and the record of his career shows instances of caution, hesitation, and ambivalence, which led to accusations that he was ineffective, lacking in brilliance, and adept at using others. Yet all his contemporaries agreed that he was an able lawyer and judge and that his character was beyond reproach. Remembering him as genial, hospitable, charitable, and a keen angler, the author of his obituary noted, “There was never any of the insolence of office about him . . . he was always the same affable, kindly gentleman, free from all cant, bigotry and pretension.” He was one of the most prominent of Newfoundland’s 19th-century public servants, with a career spanning 43 years as politician and judge, and his historical importance lies in his role in the confederation debates of the 1860s, the establishment of denominational power-sharing, and his firm handling of the difficulties posed by French and American fishing rights in Newfoundland waters. Carter viewed Newfoundland with realism, as an isolated colony with a limited resource base, a fragile economy, and limited bargaining power. Confederation and caution therefore made sense. His failings as a politician helped prevent the colony from joining the union; had his caution been emulated by his successors, its attempt at independence might have stood a better chance. MHA, Carter name file. NA, MG 29, B1, 36: 264. PANL, GN 1/3/A, 1878, file 19, 4 Feb. 1878. PRO, CO 194/136: 116–21; 194/174: 89. Supreme Court of Newfoundland (St John’s), Registry, F. B. T. Carter, will and probate records. Can., Parl., Sessional papers, 1869, no.51. Nfld., House of Assembly, Journal, 1865, 1869. Courier (St John’s), 15 April 1865. Day-Book (St John’s), 20 Feb. 1865. Evening Telegram (St John’s), 6 March 1900. Morning Chronicle (St John’s), 16 June 1866; 22 Aug., 2 Sept., 23 Oct., 4 Nov. 1867; 27 Jan. 1868. Newfoundlander, 10, 13 March 1856; 16 March 1857; 1 March 1858; 24 Feb. 1859; 13 June 1861; 3, 24 Nov. 1864; 9 Feb. 1865; 19, 22 Feb. 1866. 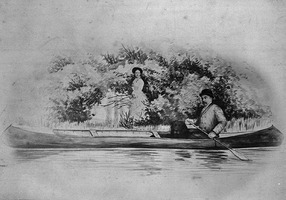 Patriot and Terra-Nova Herald, 4, 25 May 1857; 9 May, 29 July 1865. Public Ledger, 10 March, 3 April 1857. Telegraph (St John’s), 21 Aug. 1867. Encyclopedia of Nfld. (Smallwood et al.). Nfld. almanack, 1844: 36. G. Budden, “The role of the Newfoundland Natives’ Society in the political crisis of 1840–42” (history honours essay, Memorial Univ. of Nfld., St John’s, 1983), app.B. J. P. Greene, “The influence of religion in the politics of Newfoundland, 1850–1861” (ma thesis, Memorial Univ. of Nfld., 1970). Gunn, Political hist. of Nfld. J. [K.] Hiller, “Confederation defeated: the Newfoundland election of 1869” and “The railway and local politics in Newfoundland, 1870–1901,” Newfoundland in the nineteenth and twentieth centuries: essays in interpretation, ed. J. [K.] Hiller and P. [F.] Neary (Toronto, 1980), 67–94 and 123–47; “Hist. of Nfld.” W. D. MacWhirter, “A political history of Newfoundland, 1865–1874” (ma thesis, Memorial Univ. of Nfld., 1963). E. C. Moulton, “The political history of Newfoundland, 1861–1869” (ma thesis, Memorial Univ. of Nfld., 1960). W. G. Reeves, “The Fortune Bay dispute: Newfoundland’s place in imperial treaty relations under the Washington treaty, 1871–1885” (ma thesis, Memorial Univ. of Nfld., 1971). J. R. Smallwood, “The history of the Carter family in Newfoundland” (typescript, 1937; copy at Nfld. Hist. Soc., St John’s). E. C. Moulton, “Constitutional crisis and civil strife in Newfoundland, February to November 1861,” CHR, 48 (1967): 251–72. J. K. Hiller, “CARTER, Sir FREDERIC BOWKER TERRINGTON,” in Dictionary of Canadian Biography, vol. 12, University of Toronto/Université Laval, 2003–, accessed April 20, 2019, http://www.biographi.ca/en/bio/carter_frederic_bowker_terrington_12E.html.